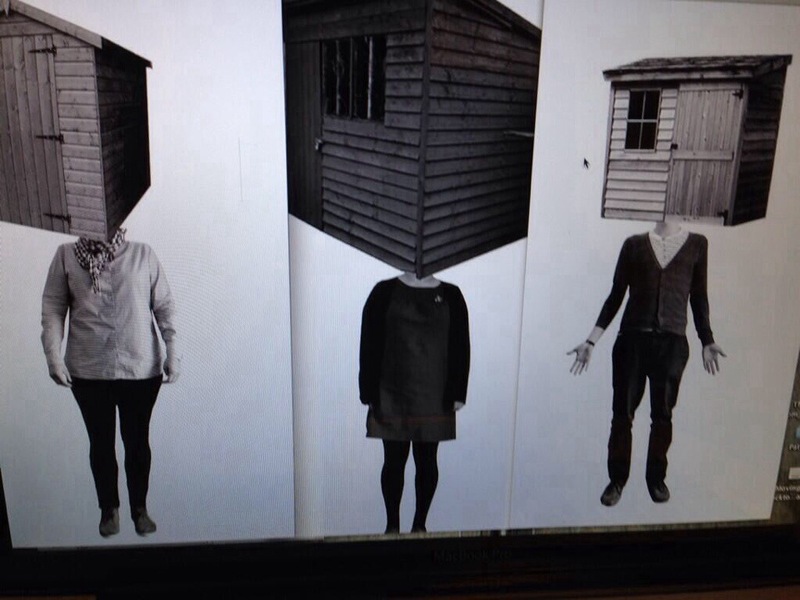 At Greenfield Arts we have 5 very talented and extremely creative #shedhead artists in residence until the end of 2014. As well as using all of the very clever digital equipment in our Shed Space, they have been using Room 13, on occasion, as a place to be creative, collaborate and explore ideas. It’s a pleasure to have them working with us. 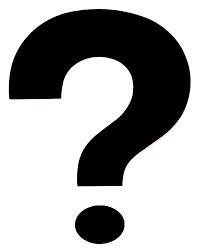 Our chief #shedhead is in the process of developing 2 community projects and 1 school project which will see more of our community able to access our facilities and realise some of their own curiosity & creativity. As part of that programme, groups will be using Room 13 and SOLE to explore ideas, before generating exciting new designs and products. The Engine Heads are getting the message out there with this great image designed by our friend Dan Walls. 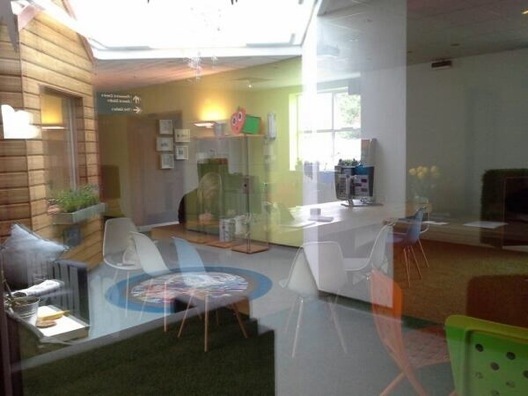 “Room 13 is an absolutely great room to learn in as it brings the outdoors indoors which I think is really clever. I love learning in an environment like this. It has grass on the PCs which is a great idea as it makes it blend in and it also hides the wires and tower inside. I also like having the Xbox one in the room with Skype because we can video call people in different countries and learn about their culture. Overall the room is enjoyable and very fun to use. It is easier to work without teachers there because we can talk amongst ourselves about work and other things. When we are in classrooms we can feel pressured to do the work with the teacher telling us what to do which makes it harder. The teachers who have been in the room with us try and ask us different questions now but it does depend on the teacher. The self named group includes Josh, Emily, Max, Sam, Lucy R, Lucy M, Milly and Ryan but they are keen to collect comments from classmates and for others to take part. 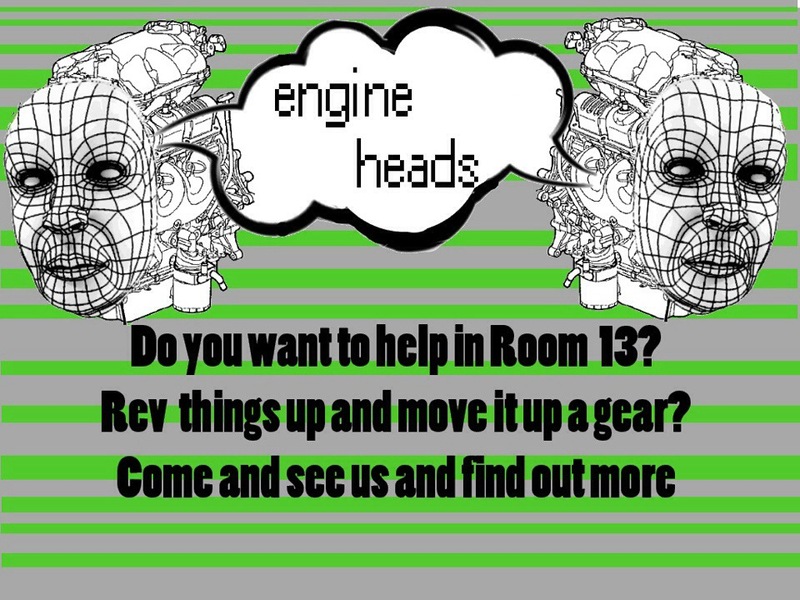 The ‘Engine Heads’ are lovely young people who are driving things forward and revving things up in Room 13! 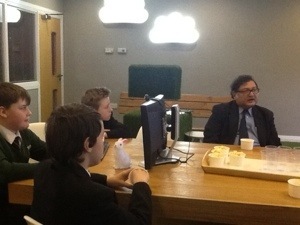 The group recently met with Sugata and are now putting some of their great ideas into action. They are planning a SOLE question for a teachers session which they are going to run and they are putting together a short presentation about their experiences in Room 13 to share with the rest of the school. Does red go with black? …This is one of the many SOLE questions that were explored this week. What makes ant colonies and bee hives so effective and how can this be applied to sport? If artists depicted WW1 and WW2 what would be different? Why does it rain a lot in some places but very little in others? What makes coca cola’s branding so effective and why? How did Romans count numbers? ….what shall we ask next??? 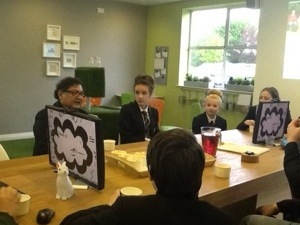 It’s been an absolute pleasure to have worked with classes of our amazing students today, fantastic Greenfield staff, wonderful visitors/colleagues and all in the company of the inspiring Professor Sugata Mitra. What’s not to love?! Room 13 was filled with curious questions and not to mention a visit from our talented friend Ben from Capture Films, who did just what his company name suggests, and captured it all on film! Can’t wait to see the footage once it’s been edited. Watch this space. As well as a number of fab SOLEs, today was a great chance to talk with Sugata about the whole TED prize winning “School in the Cloud” (SiTC) project. We caught up on the work of our partners across the globe in India and had some good conversation about our research so far and other potential research that may be needed. Super. Some smashing SOLEs session! 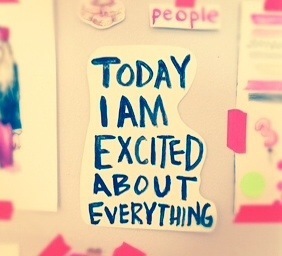 I’m excited about next week…! 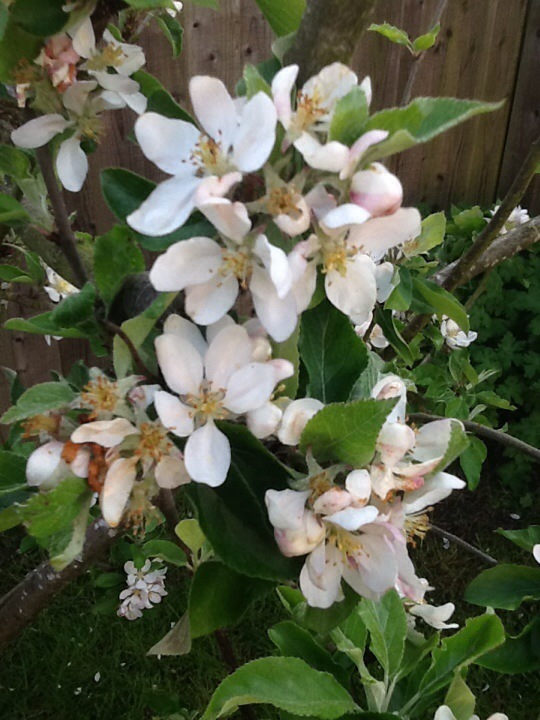 A guest post by a teacher from Greenfield who used Room13 for the 1st time. ” How would I balance what I believe to be the principles of SOLE with my need to be in control? I didn’t know what my year 7s were going to discover from their enquiry but I did know what I wanted them to grasp about being self organised learners in a space which was new to them and full of wonderfully exciting things to use. Hence, when we entered the room I simply asked them to stand still, look around and tell me what they noticed. Along with being ‘wowed’ by grass, rabbits and wonderful resources they noted how tidy and special the room felt. It made a real impact on them. Two minutes after entering the room they were into their self selected groups with their nominated ‘supervisors’ and a deputy ensuring all settled swiftly to work. I was amazed! The working noise level was calm and the movement around the room looked purposeful. With just one involvement from me, a reminder to the supervisor that it was soon time to share findings, the groups self organised their feedback. They took turns to speak, instinctively moving closer to the presenters to listen. They listened in silence without anyone asking for silence. Their presentations showed considerable thought about the question.